We are a church, a gathering of people who believe in Jesus Christ as our Saviour, who desire to know and follow Him and share His redeeming love with others. We believe that the Bible is the inspired Word of God, given to us by God so that we can know Him. Because of this, we go through the Bible verse by verse, chapter by chapter, book by book. Whether you are a follower of Jesus or someone who is seeking to know more about Him, we welcome you to join us on Sunday or Wednesday as we go through the Bible in a teaching format. Come and join us Easter Sunday, April 21, at 6:30 A.M. for sunrise service as we celebrate resurrection of our Saviour! 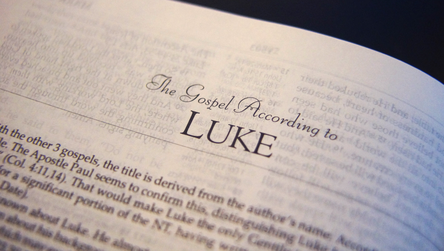 Our current study is through the Gospel of Matthew. We encourage you to join us as we move through this book verse by verse. In our sojourn through the New Testament we have reached the end and are now starting at the beginning with the Gospel of Matthew. This is the first book of the New Testament and lays a good foundation. Focus of Matthew in writing this Gospel was to show us that Jesus is the Christ, God's anointed One, promised Messiah! He is the King of Kings, the One whom the prophets wrote about. Jesus is the center of it all, and example of all believers to follow. Matthew also, out of all the gospels, has a largest collection of Jesus' teachings. We will learn so many things that will help us in our faith. So, join us as we get encouraged, exhorted, challenged, and equipped in our faith in our journey through this Gospel. Our study on Wednesday evenings through Minor Prophets is completed. Midweek Bible study is on a break. In a meantime please join us for Wednesday evening prayer meeting starting at 6:30 P.M.
in the downstairs hall at St. Timothy's in Laurier Heights.